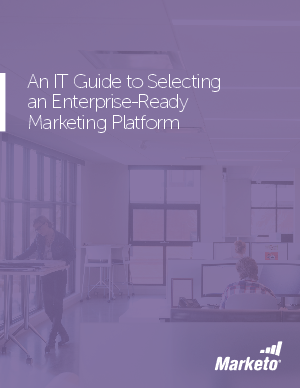 As an IT professional evaluating marketing platforms, it’s important to think about whether you can trust the platform to scale to accommodate your organization’s ongoing marketing and channel needs. Given the fast pace of channel proliferation and changing digital strategy priorities, you play a critical role in helping marketing build a technology stack that can easily scale to support its future needs. Download this whitepaper to learn about the essential criteria IT should evaluate to identify the solution that will support your marketing team’s short- and long-term needs and equip them to succeed.